Ben Aflek is now Batman. We can accept that...and move on..ever closer to the launch of Netflix's mighty Marvel Universe, kicking things off with Daredevil, the man without fear!! 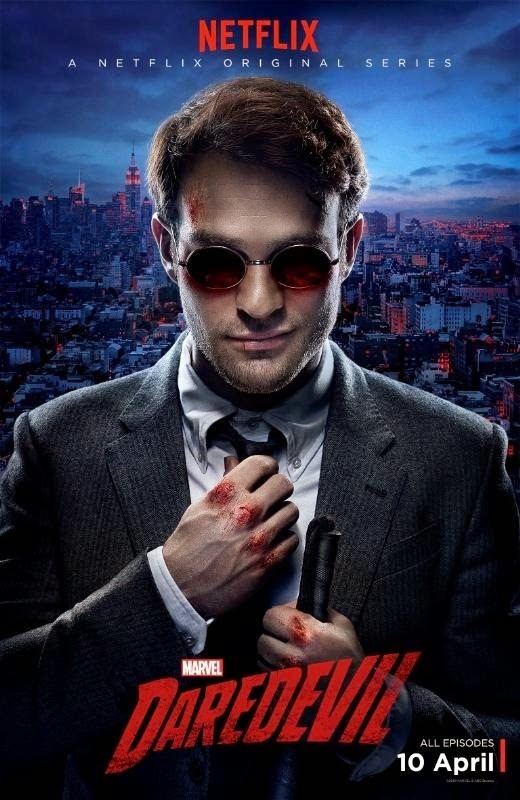 Starring Charlie Cox (Matt Murdock), Deborah Ann Woll (Karen Page), Elden Henson (Foggy Nelson), Rosario Dawson (Claire Temple), Bob Gunton (Leland Owlsely aka The Owl), Vondie Curtis Hall (Ben Urich), Toby Leonard Moore (Wesley, Wilson Fisk’s right hand man), Ayelet Zurer (Vanessa Fisk), and Vincent D’Onofrio (Wilson Fisk), “Marvel’s Daredevil” follows the journey of Matt Murdock, who was blinded as a young boy but imbued with extraordinary senses, now fighting against injustice by day as a lawyer, and by night as the super hero Daredevil in modern day Hell’s Kitchen, New York City.